How many animals do I currently have in the collection? How many animals were born between certain dates? How is the population of this species doing within my institution/our association/in this country/on this continent/globally? How does this animal’s weight compare to that of animals in global data? What kind of work has my staff been recording in ZIMS? Are my current animals in this enclosure closely related? What is “normal” in this species? What are the most common diseases in this species? What is the best anesthetic drug combination? What drugs are safe to use with this species? Accessing a knowledge base that has been the primary source of biological insights on living collections of wildlife in human care since 1974. Facts on the ZIMS database can be found here. 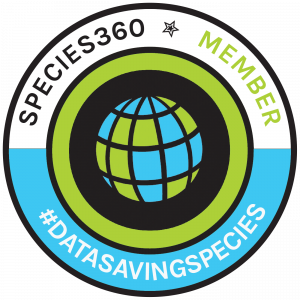 The Colombian Environmental Ministry requires Species360 specimen reports for CITES exportation permits. Over 40 formal association agreements have been executed, such as with SZB (Brazil), ACOPOZOA (Colombia), ALPZA (Latin America), AZCARM (Mexico), EAZA (Europe), BIAZA (UK), AFdPZ (France), UIZA (Italy), EARAZA (Eurasia), PAAZA (Africa), JAZA (Japan), AZA (USA), CAZA (Canada), ZAA (Australasia), SEAZA (South East Asia), MAZPA (Malaysia), PKBSI (Indonesia).